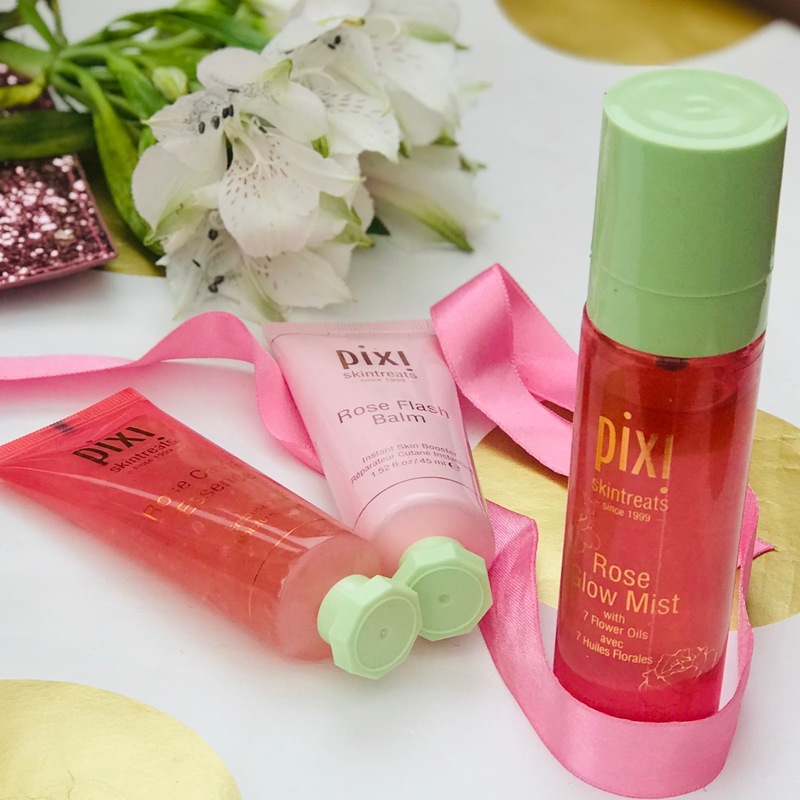 This week I am bringing to you a review of some of Pixi Beauty's Rose products. I was lucky enough to win these in a competition on Instagram and was so excited when I did as Rose scented products are some of my favourites. 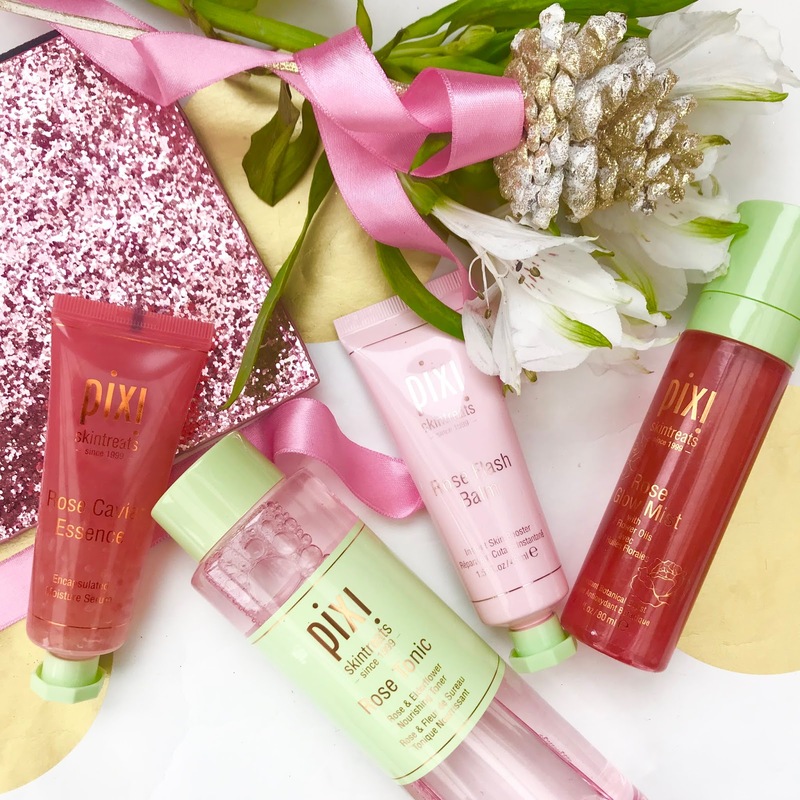 You will also know I am already a fan of Pixi products from some of my previous posts (click here). So be prepared for an outpouring of love when it comes to these products. This is only my first impression as I have been using them daily for three weeks, but the plumpness and hydration in my skin is outstanding. First up we have the Rose Tonic. 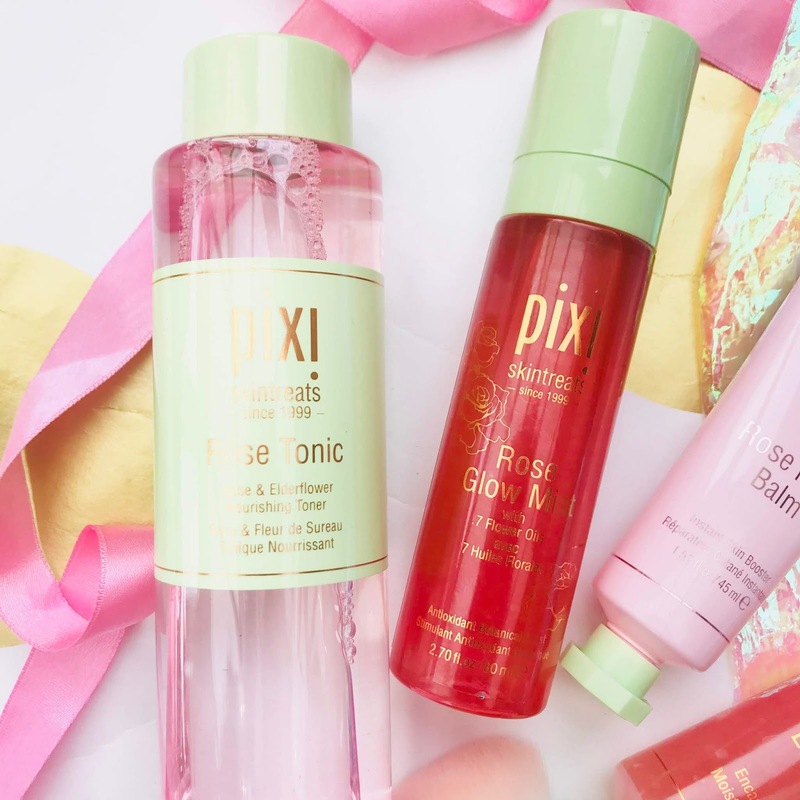 I purchased this when Pixi was introduced into Boots recently, along with a back up Glow Tonic, their newer Retinol Tonic and the Caroline Hiron's Double Cleanse, as their introductory offer was too good to refuse. Honestly the rose tonic is so lovely and hydrating. It is soft and gentle on the skin and for me makes a nice alternative to my usual Glow tonic when my skin is feeling a little sensitive or irritated. It is particularly good for calming the skin and rehydrating. My skin could literally drink this up and the smell is just so fresh . I keep finding myself using it in my night time routine as the scent is very soothing. Once I have cleansed and applied the Rose Tonic I then move onto the Rose Caviar Essence. I apply a pea sized amount into my hand and apply to the skin, finishing off with a patting motion. The essence has a concentrated amount of damascus rose, ylang ylang, and rose geranium which fills the skin with hydration and goodness. This alone leaves my skin glowing however my routine doesn't stop there. I then apply The Rose Flash Balm over the top. A lovely, thick and luxurious moisturiser which can also be used as a make-up primer. Even though it is quite creamy in consistency it is absorbed well and you aren't left feeling sticky. I find it the perfect consistency to give my face a quick facial massage which gets the blood circulating and adds to the plumpness. Finally I add the Rose Glow Mist. This is the perfect finish to the routine and adds that last bit of extra moisture. It contains seven oils and gives your skin the perfect finish. It can also be used as a make-up finishing mist or just spritzed on the face throughout the day to rehydrate and refresh. I can't wait for summer to arrive because this will become a staple in my bag as the original glow mist has been for a few years now. I hate to say this but I think the Rose Glow Spray has become my new favourite! The original will always have a special place in my heart though. It might seem a bit indulgent to apply all these to my face at once however this is what I love about the products. They absorb beautifully and don't leave you looking greasy. I love the effect they leave on my skin that I am comfortable wearing no makeup when I wear these products. It would be enough to have a couple of these in your routine however my problem is I wouldn't be able to choose. They all individually have their own specialities and this is why I choose to use them together. I actually cannot wait to remove my makeup at night just to apply these rather than it feeling like a chore. It also reminds me to stop and smell the roses, literally and hypothetically. 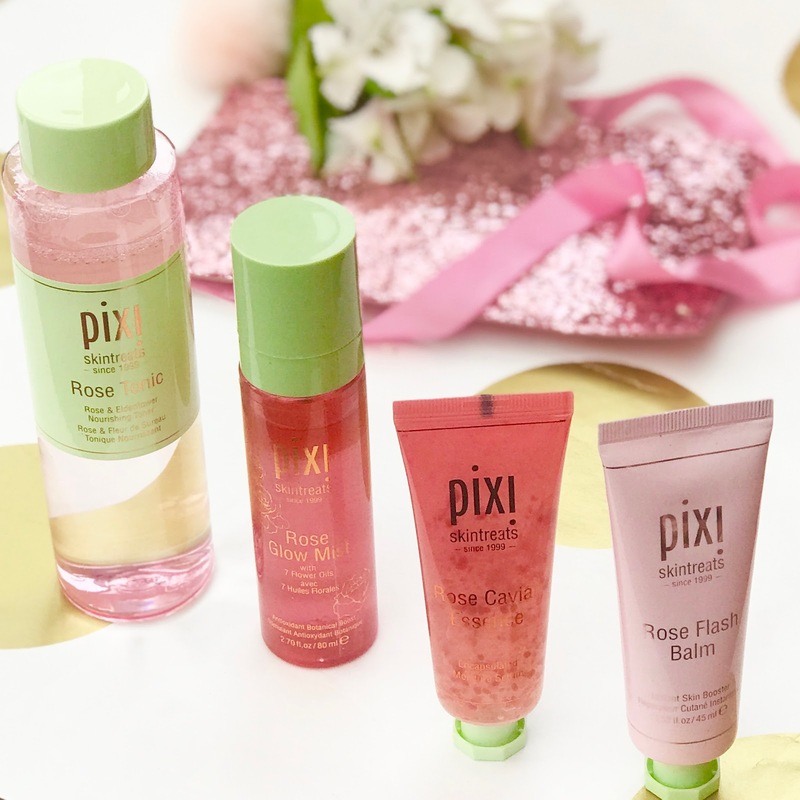 What are your Pixi favourites? *Some products in this post were won in a giveaway however I am under no obligation to post. All opinions are my own. Oh my god! The smell is divine! I have the rose cavier and flash balm and I tihnk they're such beautiful products that I'm going to treat myself to a few more. 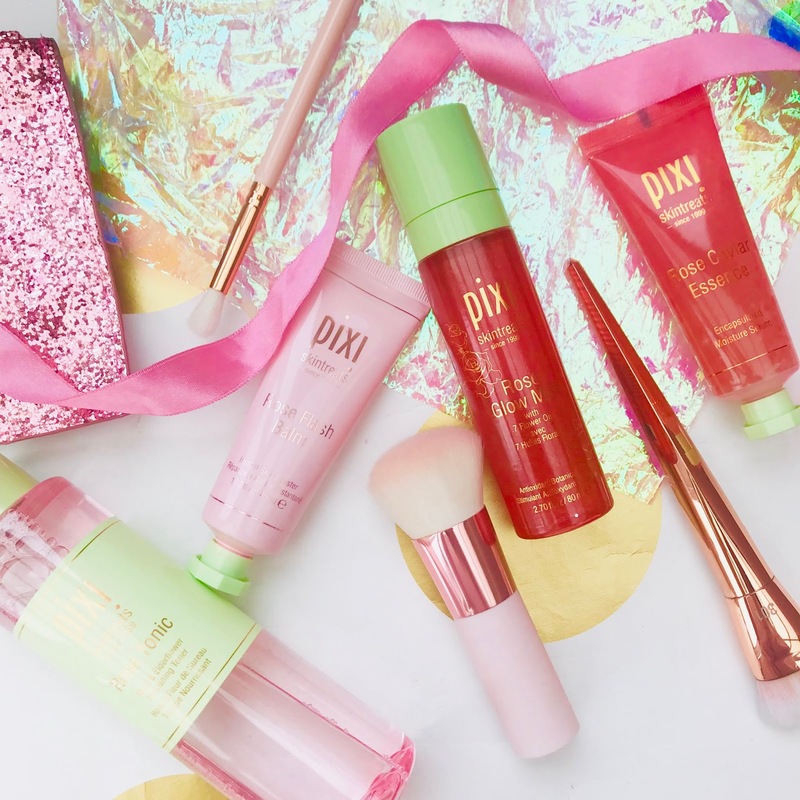 What a lucky duck you've been to win this beautiful bundle!